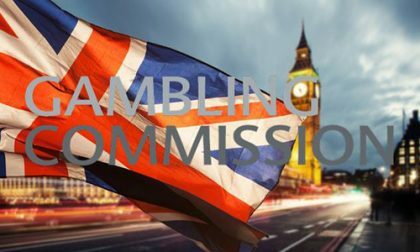 The United Kingdom Gambling Commission (UKGC) has announced another round of financial penalties levied against licensed operators who have fallen short of the Commission’s tightened rules regarding consumer protection and anti-money laundering practices. On Thursday, the UKGC announced a total of £13.95 million (over US $17.8 million) against three companies for their ongoing business sins. Leading the list, in the only one of the three that was previously announced, the UKGC ordered Daub Alderney to pay a financial penalty of £7.1m. Adding to that, Casumo has been ordered to pay a financial penalty of £5.85m, and Videoslots will pay £1m “in lieu of a financial penalty”, which, well, amounts to the same thing. Officials saw evidence of customers being offered free spins or Amazon vouchers to retain their business, but it was not clear that this was appropriate. 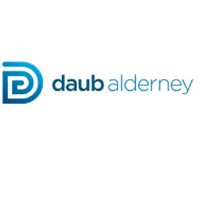 Daub Alderney has since enacted strengthened measures, including hiring more staff, to rectify the issues. Then there’s Casumo, which was also notified by the UKGC in January of a pending investigation. Another online-casino site, Casumo was found by the Commission to be markedly deficient in its internal anti-money laundering protections and systems. Among the largest issues, Casumo failed to create a compliance department and also failed to train its employees regarding business-standard AML practices. The Licensee’s policies did not flag customers as an SR concern as a result of the size of their losses. Videoslots Ltd. got off relatively cheap, if a million-pound payment and self-acknowledgement of the problems is “cheap” for a second- or third-tier operator. Videoslots was dinged for a deposit system which didn’t conduct any serious KYC (Know Your Customer) checks until after any given customer’s deposits had topped £2,000, which, might catch high-rolling problem gamblers but was no protection whatsoever for people of limited means who exhibited the same behavior. Customer B failed automated identity checks, resulting in the customer providing Videoslots with a fraudulent driving licence as evidence of their identity. In the initial stages this was not detected by Videoslots. The customer was then able to register multiple fraudulent bank cards, which was initially not detected. The bank cards were used to deposit and play large amounts of funds (for example £6,000 in one day in September 2017) without intervention by the operator. Videoslots’ systems did, in due course, alert them to the activity, by which time the customer had made £17,405 in deposits, suspected to be the proceeds of crime. These situations are almost always found out, eventually, but when the operator drops the due-diligence ball, that finding out comes way too late.